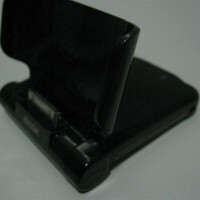 The Dexim P-Flip Foldable Power Dock delivers a functional battery dock that is designed for the iPhone 3G/3GS and iPod Touch 1G/2G/3G. 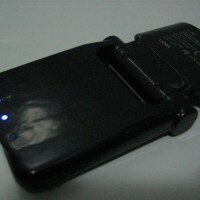 I have used many battery packs with my variety of iPhone and iPod Touch devices, but I have never used one that is both a battery pack and dock in one. The P-Flip is a portable and foldable desktop dock that also provides a battery charge for the iPhone 3G/3GS and all iPod Touch generations. 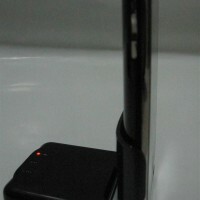 The power dock is also rechargeable using a provided mini-USB cable, complete with LED charge status. 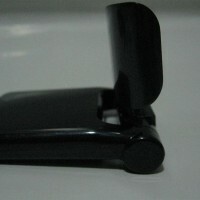 The foldable aspect of the dock makes it extremely portable, as once it is folded, the dock is about half the size of the iPhone 3GS. The dock can further be folded to stand on a desk either vertically or horizontally, the latter which is great for videos. 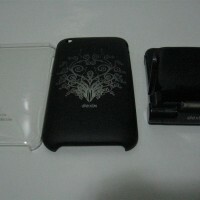 The whole package also includes two cases, a laser-etched plastic back case for the iPhone 3G/3GS and a clear plastic back case for the iPod Touch 2G/3G. 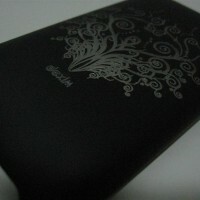 Each case further includes a screen protector for each device and one polishing cloth. 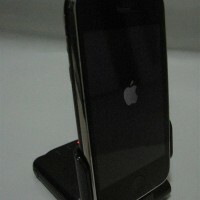 Unfortunately, the fit with the battery pack and iPhone/iPod Touch will not be as tight without the included cases. In other words, to make best use of the power dock, the case is required. While this is not a bad thing, I would prefer to be able to properly use the dock without a case. The power dock includes a 2000mA lithium polymer battery and is stated to extend the iPhone talk time for up to 8 hours, 15 hours for video (both devices), and 60 hours for music (both devices). In my uses, I got about 6 hours more for talk and about 15 hours more for just music. The Dexim P-Flip Foldable Power Dock is available for $69.90USD, which is pricey considering some of the other available alternatives. To pick this up, check out the product page to find a local reseller.